Hello, and welcome to the “Cholaca Tribe” for those of you who have just recently joined us! This month, we are excited to catch you up on a few of the fun and fresh happenings we have coming up at Cholaca, the one and only: pure liquid cacao. Cholaca is currently d istributed in 4 states! With our rapid expansion, we’re purely buzzing with excitement, and of course, the natural kick we get from our favorite superfood fueled daily cup of Cholaca! Our sustainably farmed, cacao products can now be found in 55 total locations including 24 Whole Foods Markets, 15 coffee shops (thank you Ozocoffee.com for all the love! ), and 7 different craft breweries including OskarBlues.com! Now Located in 3 New Markets! We are thrilled to report that we are now available in Salt Lake City, UT + Olathe, KS + Albuquerque, NM! Follow us now on social media to hear more about our involvement in these latest markets, as well as others to come. 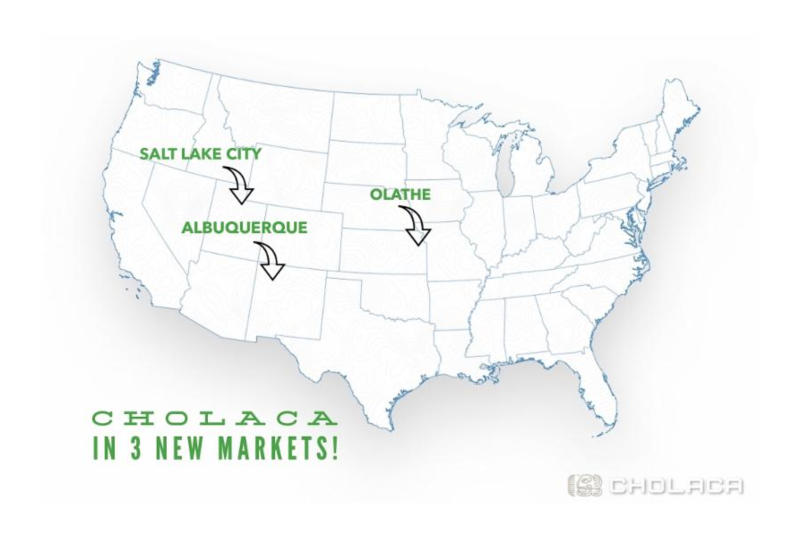 Within the coming months, you’ll also enjoy our naturally new website www.cholaca.com . Additionally, we’d like to invite you and your friends to join our Cholaca Tribe if you haven’t already: reply to this email with your name, address, a picture of you enjoying Cholaca and a brief blurb about how this natural stimulant makes you feel, and we’ll send you out a Cholaca T-shirt or Hat as our way of saying thanks for being a part of our Tribe. We can’t wait for everyone to get involved and we’d love to hear more about how YOU Cholaca by participating in our upcoming contests and campaigns. Plus, amidst all of this exciting innovation, we are also stirring up 4 brand new and refreshing Cholaca recipe videos this month just for you to enjoy! Taste us and tune in on Twitter, Facebook, and Instagram for all of the latest daily info. We hope that you catch the buzz and join our Cholaca tribe today!